Irregular Choice has been one of the most inspired and unique shoe companies since 1999. 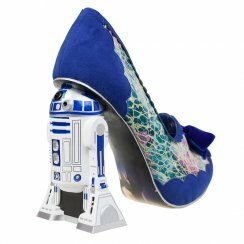 Offering creative shoes at an affordable price, influenced by fantasy and travel, predominantly in Asia and Japan, Dan Sullivan hit the news wire this week with the introduction of the Star Wars collection featuring styles that reference the Jedi, Darth Vadar, the Death Star, Chewbacca, C-P30, Yoda and more. Many styles are sold out. Get what’s left while they last. Sullivan doesn’t follow fashion trends or competitive brands. His philosophy is to be original and create stand out shoes. 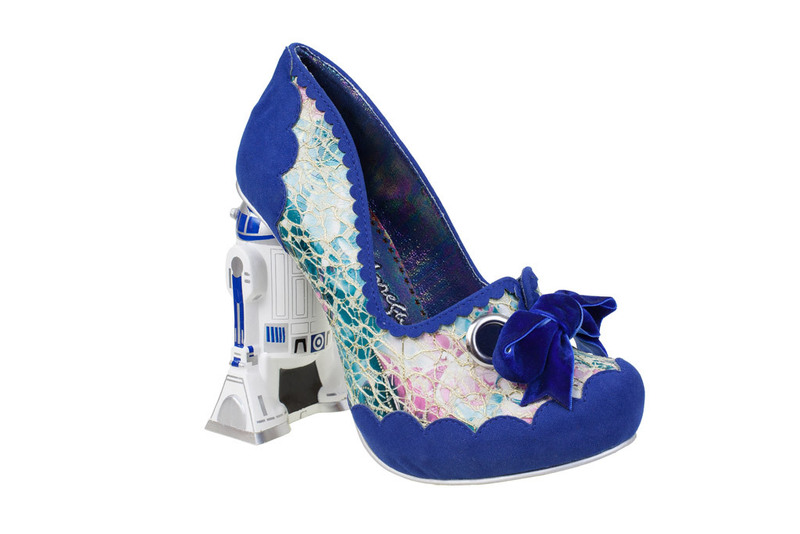 Using ornate heels (like the R2D2 featured on the Star Wars shoe), charms, and interesting color and textural combinations, Sullivan creates over 600 styles each year. Irregular Choice is one of my favorite brands for statement shoes. I own a couple of booties that suit my style. They invite comments whenever I wear them. They add a little Asian to my style. Let them work a little magic on yours. April showers bring May flowers and in my part of the world the weather can fluctuate from Summer hot to Winter cool with all weathers in between. I plan my outfits around my shoes and most often I start with boots or sandals, but this time of year is one of two brief moments (spring and fall) when I consider the “pump”. For my purposes, I’ll define the pump as a closed-toe, heeled shoe. This year one of the hottest trends for women is the Oxford, an integral part of any complete shoe wardrobe. 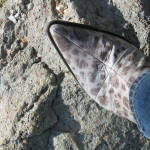 Incredibly versatile, they work well with dress, work or casual wear. 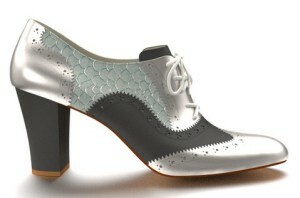 Last year I designed my own version of an Oxford using the online site, Shoes of Prey. I combined a deep charcoal grey and silver leather with a light blue and silver fishskin option to create these beauties. They are so me- all about texture and shine, a neutral with a kick. These are real conversation starters! Shoes of Prey offers an online option and they have recently launched a “Design Lab” program in select Nordstrom stores in the US and David Jones and Westfield in Australia. The online process is easy. You choose your style and off you go. You can choose from designs others have made, or go through a selection process to make your very own, personalized style. 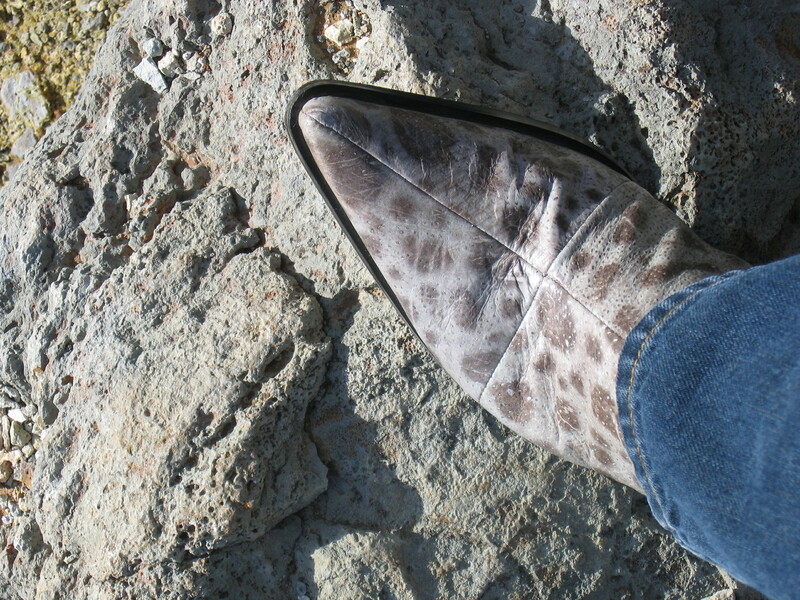 Options included styles, leathers and heel heights. Shoes are made to your size, half sizes included. They are guaranteed in your hot little hands within 5 weeks AND you can return or re-make until you are satisfied! This shoe cost me $199. Quite reasonable for a personalized design with a guaranteed fit. Oh and by the way, they are comfortable. Shoes of Prey is a mass customization model out of Sydney Australia. They launched in 2009 and with the recent partnership with Nordstrom, I see a bright future. I’m glad to see it working. 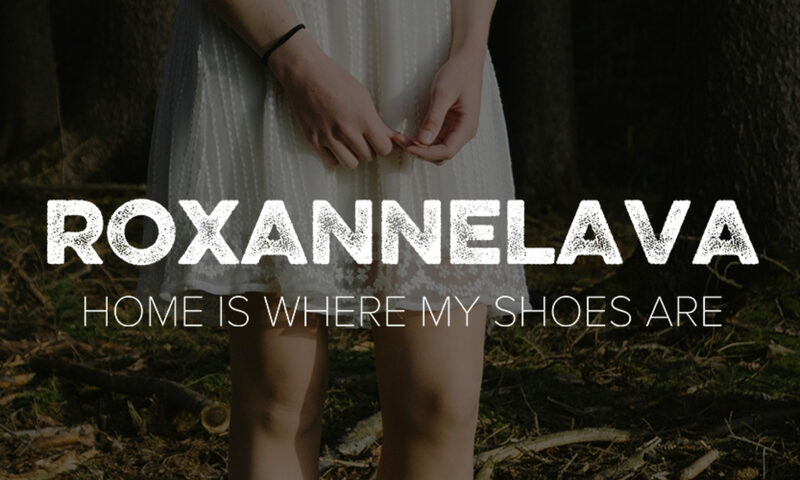 The RoxAnneLava label is based on a similar model. I look forward to a similar success, albeit on a smaller scale.